UPDATE January 15, 2019: Chappa'ai for Kodi, the Mr Blamo resurrection of MetalliQ, is up once more, now housed within the SkyDark repository with the developer-in-charge going by the pseudonym Legal. This article has now been fully updated to reflect this change. Chappa'ai is still one of the best utility Kodi addons you can use to get extended information for titles available by other addons. While it'll most likely disappear once more in the future, simply protect yourself within a VPN and keep the repo and resolvers updated regularly to have Chappa'ai doing its job for you as long as it can. UPDATE SEPTEMBER 10: Mr. Blamo, also known as Daddy Blamo and maintainer of the Blamo repository, developed many great Kodi addons in 2018. Blamo closed the repository down and took it entirely offline. With the Blamo repo gone, Chappa'ai, Neptune Rising, Placenta, Death Streams, Wraith, Aragon Live, and other addons within the repo will stop receiving updates unless taken up by another developer. Chappa’ai from the SkyDark repo replaces OpenELEQ’s now-defunct MetalliQ addon, which many Kodi users had fallen deeply in love with. The developer of MetalliQ decided to pull up roots and leave the Kodi third-party scene in February of this year, so MetalliQ has possibly seen its last update. With the Chappa’ai Kodi utility addon, hope remains, as this fork of the MetalliQ Kodi tool makes any home entertainment setup rock in the same ways that MetalliQ once did. We’ll get into some details of what Chappa&apos;ai actually does (a lot!) and more after the installation guide. If you’ve allowed unknown sources, added repositories to Kodi, and installed a few third-party Kodi TV addons, then you probably only need the source URL. You can find the Chappa’ai Kodi utility plugin by using the http://www.skydarks.com/skydarks/ source URL for the SkyDark repo. Aside from a bit of setup after installation, the Chappa’ai install process remains the same as most other Kodi addons. Even with the witty new pseudonym taken by the Chappa’ai developer, there exist some items to think about before installation proceeds. This is true of any Kodi third-party TV addons. Grab the free IPVanish VPN app and connect to an IPVanish VPN VPN server risk-free by taking advantage of their 7-day money back guarantee. Don’t let the low price fool you; a better VPN for Kodi users does not exist. With the release of Kodi 17 Krypton, the XBMC Foundation decided to make Kodi not allow Kodi third-party plug-in installations without the user first toggling a special Kodi system setting. This simply makes sure the end-user of Kodi recognizes the inherent risks involved with installing TV addons that haven’t been vetted by the XBMC Foundation. It also puts a bit more distance between the XBMC Foundation and the third-party Kodi community, so the stigma of piracy stays off their hands. If you haven’t done so already or have no idea what I’m talking about, you can check out this really simple guide to Enable Unknown Sources in Kodi. If you’ve installed a custom Kodi build or skin and would like to follow along with our illustrated guide to installing the Chappa’ai utility, you may want to temporarily revert to Estuary, the default Kodi skin. Many skins change the menu system drastically, making it difficult to find some system settings if you don’t know your way around. A lot of Kodi skins even hide many menu items to give a simpler interface. If you’d like to revert to Estuary, but don’t know how without wiping your system, check out our Kodi reset article for some help. Chappa’ai resides in the SkyDark repository. First, we’ll make Kodi recognize the SkyDark repo URL as a viable source for TV Addon installs and updates. In Kodi’s main menu, find the System icon (gear cog) up top, then click on it. Select Add Source on the left. Then, choose <None> so we may use a custom external source site. Now type http://www.skydarks.com/skydarks/ into the form-field, then click OK. The text area below the URL you just entered should populate with SkyDarks automatically, if not then type skydark and click OK again. Head back to the Kodi main menu by clicking twice on the back button on your Fire TV remote, then enter the Add-ons area by clicking on that menu item. Then, click on the Add-on browser (open box icon) at the top of the menu, which many call the Package manager. Once in the Addon browser, then click Install from zip file. Choose the skydark source added earlier. Select repository.skydarks-X.X.X.zip file (named repository.skydarks-7.1.7.zip while I write this) to start the SkyDark Repo installation. You can either click on it, or hover over it then move directly to the right and click the OK button. While the status bar in the bottom of the window shows the SkyDark Repo zip file, then you’re good to go. Once a SkyDark Repo Installed dialog appears in the top right part of your screen, then continue with the next and last chapter of the Chappa’ai utility install guide. On the same page within the Addon browser, choose to Install From Repository. Then, enter the SkyDark Repo, so you can see its contents. Head into the Video Add-Ons section of the SkyDark Repo. Click on Chappa’ai to start installation. Then, just click on the Install button! A Chappa’ai add-on installed message should appear much like the SkyDark Repo one earlier, so you now have the best working alternative to the MetalliQ command module for your Kodi system! AKA: One Ring to Rule Them All! Depending on which TV addons you have installed on your Kodi system, Chappa’ai acts as a multi-addon search engine for many of them. You don’t need to enter each Kodi TV addon to find if it provides the show you’d like to watch. Just tell Chappa’ai which show to look for, then it asks all the compatible TV addons you have installed if they can find it online. Chappa’ai then gives you a list of the addons having access to the streaming media file you seek. We’ll roll out installation tutorials for most of these Kodi TV addons in the very near future. The TV addons within this list will link to their respective guides as they get published. Some, such as Alluc, will disappear soon. The developers of Alluc have already announced its imminent demise, but it remains in this list until no longer viable. By nature, the Kodi third-party scene remains in a constant state of transitional flux. We’ll update this list of Kodi TV addons compatible with Chappa’ai regularly, so check back here often for updates. Chappa’ai also grabs meta-data from online resources for the media files that other Kodi TV addons find online. 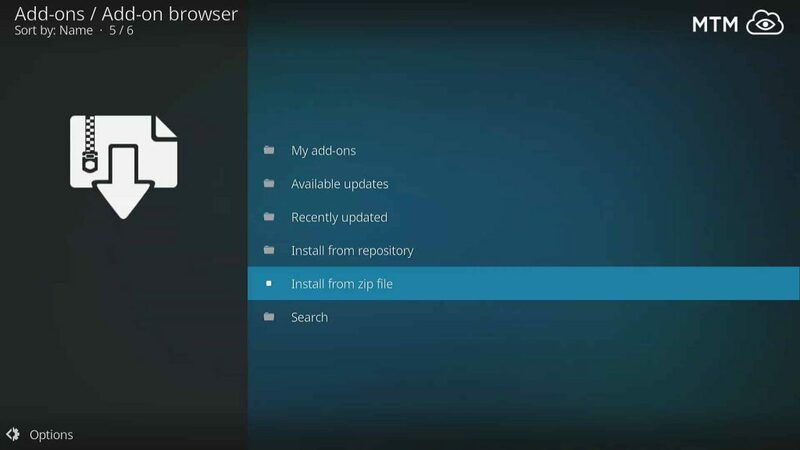 This Kodi utility pulls the meta-data from many popular sources. These include the following. As your collection of Kodi TV addons grows, Chappa’ai can begin to noticeably slow your Kodi system down during searches. Querying every TV addon to which it has access can sometimes take a while. This seems to bother some people but think about it this way. Every time you use Chappa’ai to search for a media file, you avoid having to search within multiple TV addons, which would take much longer. If you wish to minimize any lag caused by Chappa’ai querying large numbers of Kodi TV addons, then keep the number of installed Kodi TV addons low. Three or four Kodi addons can usually take care of most entertainment needs. Think about how you will most often use your Kodi media system, then set it up accordingly with Chappa’ai. Hey Bieber, I’d love to know what addons the old MetalliQ scripts you are using were for. well, this seems like a handy thing. control all my kodi addons from one place. will give it a try! You’re welcome, Norman, and thank you for the nice comment!